"Confidence begins with a healthy, beautiful smile." Your Temporomandibular Joint is located close to your ear between your upper and lower jaw. People with Temporomandibular Joint Disorder (TMD) can experience severe pain or discomfort that may either be temporary or last for many years. Your dentist at Radianté Dental & Facial Spa must perform a complete dental and medical evaluation to properly diagnose TMD. 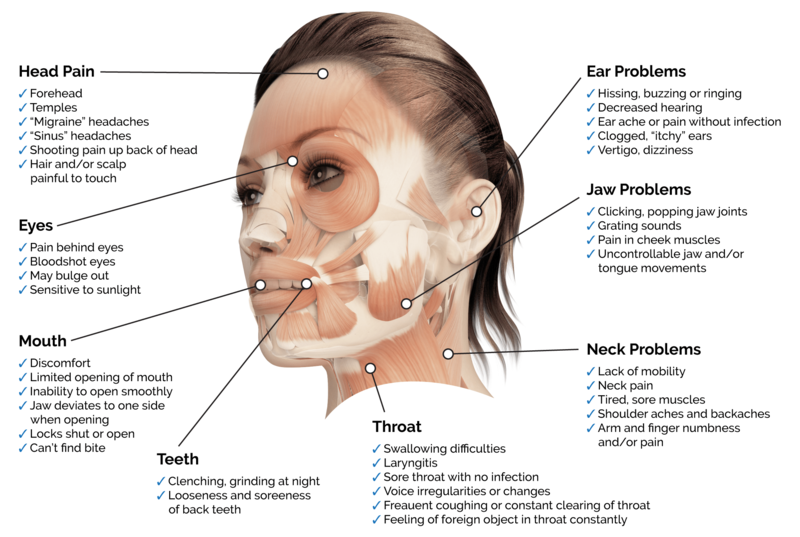 If you experience any of these symptoms, you may be suffering from Temporomandibular Joint Disorder (TMD). Don't know what you need? Delivering the best cosmetic results for your beauty & confidence.